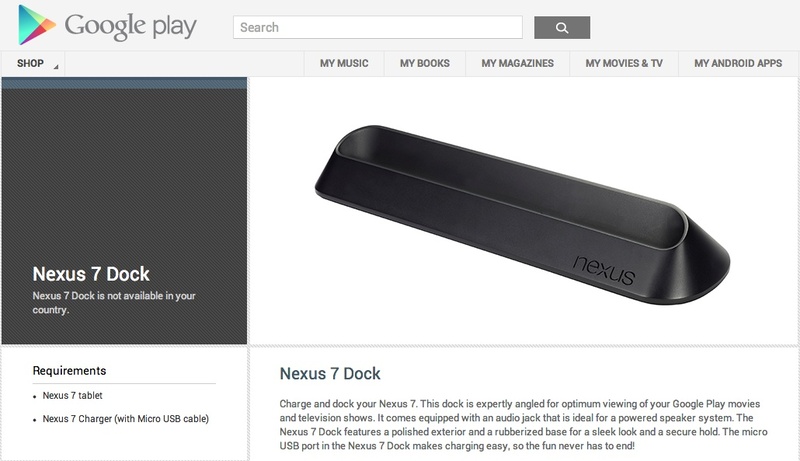 Google is currently removing the Nexus 7 Dock from its Google Play store pages, leaving the landing page for the accessory to say only that it “is not available in your country.” Seems like they are killing it off for good. We see them make Play store page changes all of the time, but this is a blatant removal from Nexus 7 pages, not a change in shipping status. Does this mean that a new Nexus 7 is imminent? Not really. Rumors have pegged a new N7 for a July release, but an accessory disappearing is not necessarily a sign of that happening. If you still want one, Amazon appears to have them in stock.